This is the cable for the Left-side Tron FX lights LED lights located in the LCD assembly, for the Alienware 17 R4 gaming laptop WITHOUT the optional Tobii Eye feature. NOTE: This cable is compatible with Alienware 17 R4 systems that do NOT have the optional Tobii Eye feature. Buy of 48 in stock and ready to ship. 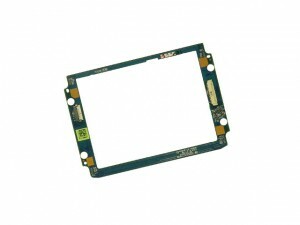 We have made the installation of your Dell Alienware 17 R4 Circuit Board a simple DIY project. Just follow our step by step instructions. We have written and video installation tutorials available. Save time and money by doing your own Dell laptop repair.